Moving Pixtures - Toronto Ontario Canada - xClock / mClock The App supports both landscape and portrait modes of operation on iPhones and iPads.﻿Moving Clock - Animated TimepieceDigits of time bounce around in a soothing frenzy, and settle down once in a while, to actually display the TIME. Digits of time bounce around in a soothing frenzy, and settle down once in a while, to actually display the TIME. 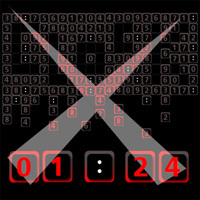 What was mClock, is now an abduction altered clock with the power to communicate X-Files countdown awareness. 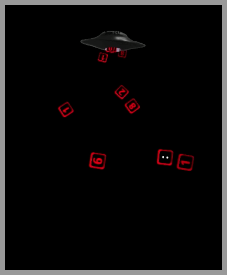 Some digits will be returned, slightly altered, yielding X-Files related data. The data includes a timezone sensitive COUNTDOWN to the North American Premiere of the return of the X-Files 2018, to mind numbing earthling devices everywhere. xClock v1.8 has been updated with intel verified time references.